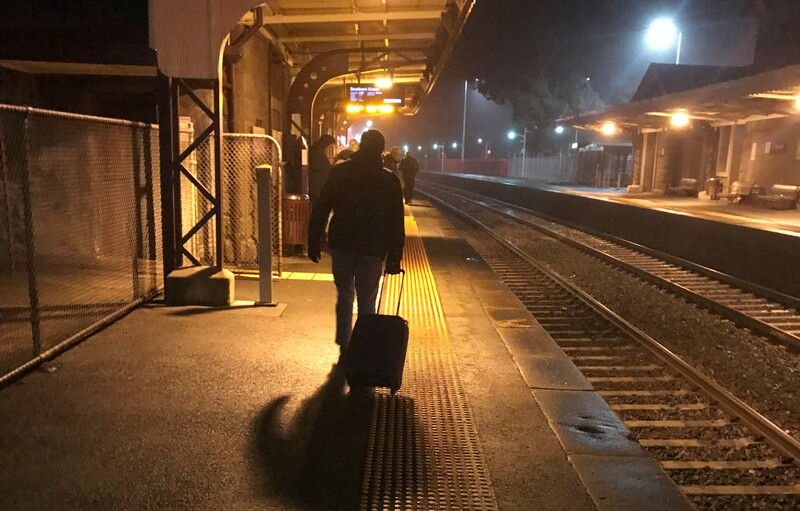 Pictured is Platform 1 at Kyneton Railway Station in the early morning. The location of where the man jumped onto tracks to climb up on Platform 2 is in the immediate foreground. 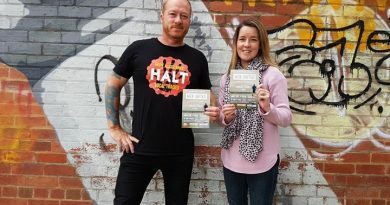 Commuters are risking their lives to catch the train because of a move designed to reduce delays for morning peak services on the Bendigo line. Melbourne-bound V/Line trains previously picked up commuters from Platform 1 at Kyneton station but for the past week have instead arrived at Platform 2, requiring commuters who park in the carpark to walk around the station and cross the pedestrian crossing to reach the other side. The change meant trains were not losing time by crossing over to Platform 1 to pick up passengers when they arrived at Kyneton – resulting in a time saving of three to five minutes – but commuters have reported watching latecomers daily ignoring the closed pedestrian gates and crossing anyway, or worse, attempting a shortcut across the tracks themselves when the train is approaching. The issue came to a head last Wednesday morning when a man running late for the 5.48am service had a narrow escape after jumping onto the railway tracks in front of an approaching train. The man struggled to climb out of the way of the approaching train before being lifted to safety by two nearby passengers. On Thursday morning, in a bid to address the issue, two authorised officers were on site with three extra V/Line staff sent up from Melbourne, yet even with that extra presence, one commuter on a bike still rode through the level crossing while the gates were down and the train coming in order to get to Platform 2. 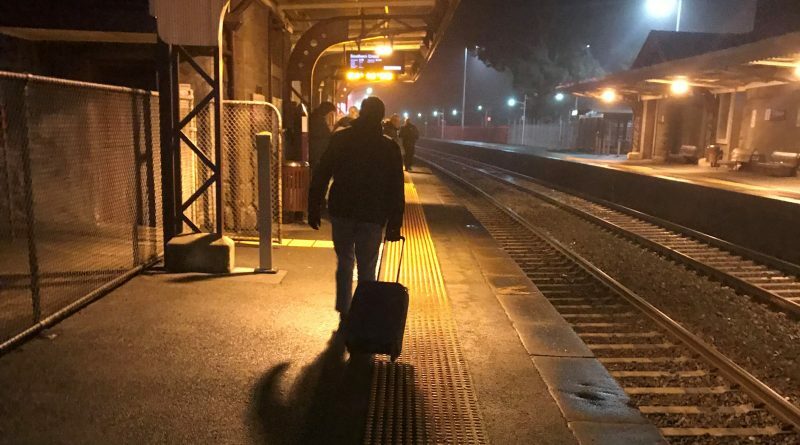 Kyneton commuter Andrew Hedge came close to missing the train last Monday but managed to get to Platform 2 just in time. He said there were about six people behind him who ignored the closed gates. “The trains have been arriving a couple of minutes sooner and then waiting until their scheduled departure time,” Mr Hedge said. “So people who are caught on the Platform 1 side are going to keep taking the risk. “I’ve taken the train from Platform 2 three times now and have seen between 10 and 15 people cross after the boom gates have come down. “It’s just not people-centred – 90 per cent of the cars are on the wrong side of the tracks from where they’re going. V/Line CEO James Pinder said staff had been on the ground talking to passengers about the platform changes and platform posters had been updated at the station. “We will be working hard to further communicate and raise awareness about these platform changes,” Mr Pinder said. “We always take on board feedback from passengers in making decisions but want to reinforce that it is never acceptable to disobey the safety measures that are in place at a crossing to illegally cross the tracks. 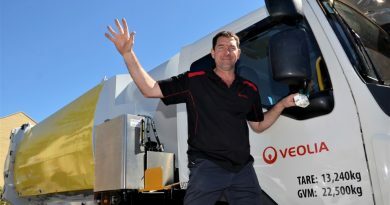 Stephen Elliott, Veolia regional manager north west, with the new kerbside recyclables collection truck that will now do the rounds for Mount Alexander Shire. 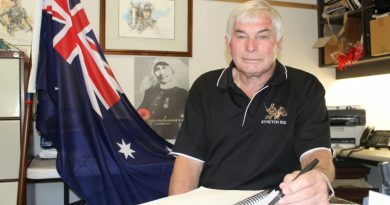 Rob Renton has been named Macedon Ranges' Citizen of the Year in the 2019 Australia Day honours. What a crock! For a start it is not Melbourne-bound trains that do this, I am a regular on the 09.14 from Southern Cross which used to cross over to P1 from the West track and now doesn’t, it was a ludicrous waste of time and the late running it caused blocked the path of the next Southern Cross train at Castlemaine. Secondly back on the old days before the idiotic decision to single the line from Kyneton to Bendigo ALL Down (Bendigo bound) trains would have gone to P2 and Up (Melbourne bound) trains to P1 and when the line is eventually duplicated that will be the way it is again for most services. What about pax at Riddells Creek, Gisborne, Malmsbury and other stations who have to cross over to catch a train, you don’t hear them complaining. It is not change for changes sake, this is a very intelligent operational decision, get used to it. I think the issue is that important facilities are all on platform 1…the machine to top up myki cards, service staff, toilets, warm waiting room. There is only 1 myki reader on platform 2. If the change on platform is necessary, maybe Vlibe ought to think about facilities and staffing needed on platform 2.